If your corporation is interested in offering a Wellness Class or Couch to 5K programs, please contact me. I currently provide various programs and onsite weekly classes for Advantage Health which runs the Corporate Fitness centers at Allianz, the 333 Bldg in Minneapolis and Cummins Power. We continue to offer more options to those that want to participate. I have also worked with The Children's Hospital and Clinics offering a Couch to 5K programs to their employees. If you're looking for just a weekly run class to be offered to your employees or a more personalized program for those that want to train for something specific, I can do that as well. These training programs will be tailored to what you want to offer your employees, but would include very specific workouts to do on certain days of the week, paces to follow for each workout based on goals as well as suggested days off and cross training days. Ron has been a great asset to our corporate fitness center programming. He has provided his knowledge and expertise in running to our employees here at Allianz Insurance Company. He is a joy to work with and has allowed us to expand our specialty class offerings. Been very happy. He works with all abilities and gives workouts that meet each person goals. I highly recommend him as a trainer no matter what your ability. Ron is absolutely amazing! 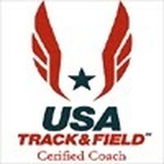 He is extremely knowledgeable about the sport and is invested in each and every one of his clients. No matter what your goal is Ron will help you achieve it! Ron is currently training me for my first marathon, my experience has been extremely valuable thus far. Ron designs challenging workouts for me each week and creates a balance between working hard and keeping things fun. So far this year I have had PR's in the 5K and 8K, and I owe a lot of that to Ron. 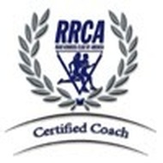 Ron has helped shape me into a stronger, faster, and smarter runner.